A home in Markham, Ontario had a water leaking problem at the side wall. There was a crack, form ties and floor wall joint seepage in the poured concrete wall. They had a finished basement, but the floor was always wet so the homeowner and their grandkids could not use the space. The customer had used Clarke Basement Systems previously for other work and knew we could help with the water issues. Chris Luke was the design specialist that helped come up with a solution and answered any questions the customer had. Lucio, the installation specialist and his team, came in and installed a WaterGuard® Below-Floor Drain around the perimeter of the leaking wall. ThermalDry® Wall Membrane was introduced to stop leakage and moisture on the walls and direct it to the drain. A SuperSump® Premier Sump Pump System with IceGuard® Discharge Line was installed to avoid flooding and keep the lines durable during the cold seasons. With a fully waterproofed basement, it can be put back together without having to worry about the wet floor, leaking form ties or cracks that leak. They have their space again and they feel confident to let their grandkids play in the area! Doors jamed. floors not even. Two cracks in the basement foundation have leaked water onto the basement floor. I am the home owner. I have a small leak in my basement that is only visible after the snow starts to melt. Need to get two potential leaking cracks plugged, similar to the work you did 16 years ago. I am a builder that has just finished a house and the basement has a corner that water is getting in. Water pooling in one part of the basement and need someone to urgently come and look at the cause of the water. Ben did a super job! Very satisfied with the work, and the cost! Thank you to Jarod and Steve for their professionalism and exceptional service! I would highly recommend this company to anyone looking for a permanent solution to a leaky basement! I'm writing this letter to recommend them as professional, customer-focused subject-matter experts. After being satisfied with previous waterproofing services performed by Clarke Basement Systems, Jim from Markham, Ontario decided to call us when he discovered a wet carpet in his basement. It was a very good experience. Starting from the estimate - the estimator came in and was very professional. He gave me a good estimate and an approximate timeline. As it turned out your service departement called me before the timeline, so my work was done 2/3 weeks before I was anticipating. Your crew showed up on the scheduled time. They were very professional and diligent. It looks great....hope it does the trick. thanks. Thank you for a job well done and for your honesty & integrity. If I ever have any damp or water conditions to deal with you can rely on me to call you. "The frequent phone and email contact re date and scope of..."
"Thank you especially to Matt. He was on time and very..."
"Jarod did an excellent job explaining as he did the work..."
At Clarke Basement Systems we put customer service first and are proud to serve our area. Our team of trained technicians use only high quality materials from the best manufacturers in the business to ensure that you get only the best results. We want to find the solution that will work best for you! Our excellent products like vapor barriers, dehumidifiers, and drainage systems will keep your basement dry and healthy. Need help removing water and keeping the area dry? Then our TripleSafe sump pump is the thing for you! With a primary pump, a secondary pump, and a third, battery operated backup pump, you can always have the peace of mind you deserve knowing that you home is well-protected. Need a solution to cracked, uneven concrete in your home or on sidewalks or patios? Then look no further than our concrete leveling, concrete crack repair, and concrete sealing services! With the PolyLevel Concrete Lifting System from Clarke Basement Systems, a polyurethane foam gets injected under the concrete slab which raises it to the appropriate height so that it's even with the rest of the concrete around it, eliminating it as a safety hazard. In addition, we also provide durable cracked concrete repair with NexusPro. NexusPro is a flexible concrete sealant that repairs concrete cracks and joints. Since NexusPro resists UV rays, temperature fluctuations, extreme weather conditions, and more, your concrete repair will be long-lasting! After utilizing all of our ultra-durable concrete repair solutions, try SealantPro, a tough concrete sealant that extends the life your slabs by 3 to 5 times overall in just one coat. SealantPro bonds with your slabs on a molecular level to guard against oil, gasoline, liquids, and debris, assuring your concrete and your home looks great for a lifetime! 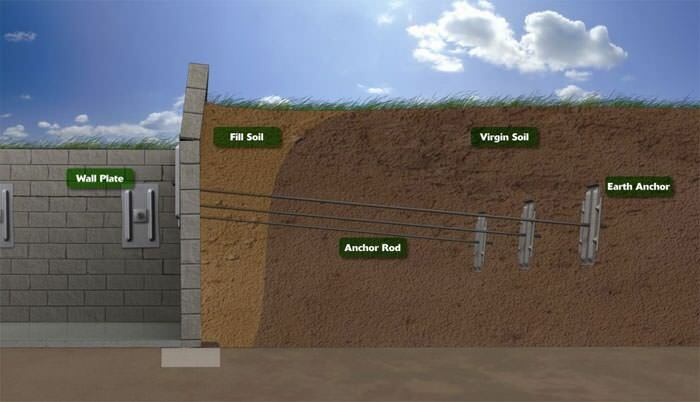 One of the most neglected and unassuming areas of the home is the crawl space. When left unchecked, a crawl space can become a breeding ground for mold, mildew, and even small animals and other pests, not to mention cause other problems for your home like affecting air quality or foundations. 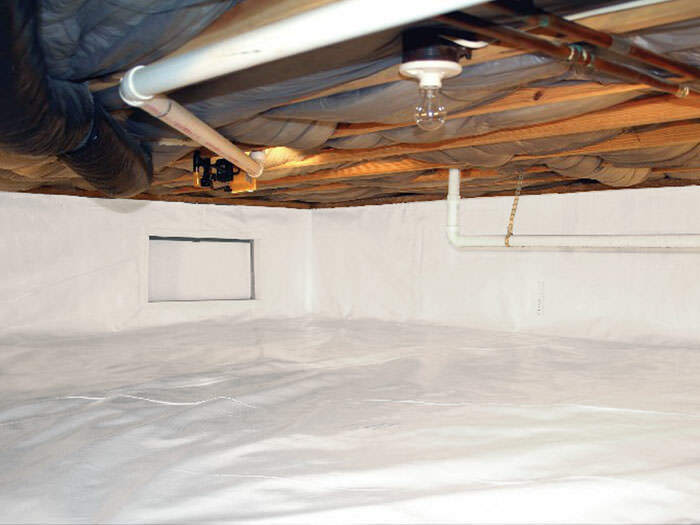 By installing vapor barriers, thermal insulation and dehumidifiers, you can turn you dirty, unsafe crawl space into a healthy, energy-efficient space. Having problems with musty smells and mold in your basement or crawl space? We have the time-tested products and methods to improve the air quality of your home as well as find solutions for problems such as beams sagging due to wood rot. Clarke Basement Systems has the tools and expertise to get your project done the right way the first time. Our friendly, knowledgeable staff and expertly trained technicians use only high quality products and are ready to help you find a solution that will work for you and your home. Call us today for a free estimate! After installation of our Watergaurd with protection of Icegaurd for the winter months. Slavo T. found a faulty window well was bringing unwanted water into his home. In hopes of having a dry basement, he called Clarke Basement Systems for the best solution. One of System Design Specialists, Chris Luke advised that the best fix would include the use of our patented SunHouse™ Window Well and some vertical drainage piping. Together these two systems can provide a proper drainage route, preventing any overflow or flooding into the basement. Now, Slavo no longer has to worry about a wet basement nor an overflowing window well. Clarke Basement Systems is pleased to have been able to assist this Markham, ON homeowner with his waterproofing needs. Slavo T. noticed that one of his window wells was leaking into his basement, making the floor wet. In order to fix this situation and preserve his flooring, Slavo contacted Clarke Basement Systems for the best, permanent solution. Upon first inspection, our System Design Specialist, Chris Luke suggested our patented SunHouse™ Basement Window Well Enclosure and a connecting vertical drainage pipe. These systems work together to provide a quick drainage route to the weeping tiles and prevent the window well from overflowing. Slavo no longer has to worry about a wet basement floor. He is also happy the awesome systems installed are backed by a transferable warranty. Clarke Basement Systems is pleased to help this Markham, ON homeowner with all of his waterproofing needs. A customer in Markham, Ontario, had a crack in their basement foundation. It began to form from the corner of the window and had been leaking in water leading to pooling on the basement floor. The polyurethane sealant never dries out or cracks and adapts with the natural movement of the foundation wall. This system will seal it permanently and includes a 25-year warranty that is transferrable to new homeowners if put on the market. Our customer was happy with the repair of the foundation and was thrilled about the warranty. A customer living in Markham, Ontario had contacted us because water had been running in through the east wall of the finished basement ruining their new carpet and baseboards. The customer was worried the rest of the space would be damaged by the water which would then affect the value of the home, and the customer’s peace of mind. A ThermalDry® Wall Membrane was installed to funnel moisture or groundwater into the WaterGuard® system installed below the floor. The WellDuct® Window Well Drain was also installed. It directs water from the window well into the WaterGuard®. After the installation, the floor was concreted flush with the original level of the floor. Our customer was very happy the new system was permanently taking care of the groundwater seepage issue in their basement. Our customer now had peace of mind that the house was safe and waterproofed. A home in Markahm, Ontario, had a problem with the side window well. The window well was not draining, causing water to pool and enter through the window. This was causing staining on the wall and floor and the basement to be wet. The homeowner called Clarke Basement Systems and talked to Rob Malcomson, who explained the process of the job. Don Clarke and the team came in and installed our SunHouse window well. They are enclosed window wells with a cover to stop water from entering the well. New drainage was installed to Weepers on the exterior of home, ensuring any water entry will drain properly. The customer is happy because there is no more water entering through window and as a bonus, more light is now being bounced into the basement space. A home in Markham, Ontario, had a large 32-foot-wide cold room that no longer could be used for storage due to groundwater seeping. Further inspection found the water had traveled beyond the cold room and into their carpeted recreation room that was open to the upper levels of their home. The homeowner feared their finished basement space would be damaged, and needed the peace of mind their basement would be dry while they were away from home for extended periods. Because of their upcoming vacation, it was important to find a reliable system they could trust...fast! The customer was pleased with a previous FlexiSpan crack repair we'd completed years prior, and knew they could trust Clarke Basement Systems to fix their wet basement issues. They spoke to our sales rep; Colin Clayden who explained everything to them in detail and came up with the best solution for their wet basement. The foreman; Dave Jackson and the team came in and installed a WaterGuard waterproofing system around the perimeter of the cold room to capture water entering from the footing a floor/wall joint. They put CleanSpace anti-microbial wall membrane to capture water and create a vapor barrier between the basement and damp basement walls. A TripleSafe Sump Pump System was added to provide reliable 24/7 protection against basement flooding for the worst case scenario, even if the power were to go out. IceGuard was installed to prevent discharge line freezing when the temperatures swing between day and night, and season to season. Lastly, WellDuct to efficiently route water to the TripleSafe when the window well drainage is not able to keep up. The basement no longer has a musty, moldy smell to there basement and will be protected from any water leakage. The customer can rest easy and travel away from home confidently knowing they will return to a dry cold room any month of the year. A home in Markham, Ontario had a water leaking problem at the side wall of the 40 year old home. There was a crack, form ties and floor wall joint seepage in the poured concrete wall. The basement was finished but the floor was constantly wet so the homeowner and their grand kids could not use the space. The customer had used Clarke Basement Systems previously for other work and knew we could help with the water issues. Chris Luke was the design specialist that helped come up with a solution and answered any questions the customer had. Lucio the installation specialist and his team came in and installed a Waterguard around the perimeter of the leaking wall. Thermal Dry Wall Membrane was installed to stop leakage and moisture on the walls and direct it to the drain. A SuperSump with Iceguard was installed to avoid flooding and keep the lines durable during the cold seasons. With a fully waterproofed basement it can be put back together without having to worry about wet floor, leaking form ties or cracks that leak. They have their space back and they feel confident to let their grand kids play in the area! After months of constant leaking in his basement, Markham, ON homeowner Rey C. decided enough was enough and began looking for waterproofing companies to service his basement. Remembering a company from a home show he visited this spring, Rey decided to contact them for an estimate. Rey contacted the professionals at Clarke Basement Systems and soon after, Clarke sent out Ron Monk to meet with Rey at his home and discuss solutions. After evaluating the basement and the wall cracks, Ron discussed with Rey that the best course of action would be to install FlexiSpan. Ron explained to Rey that FlexiSpan was a highly recommended wall sealant. FlexiSpan is preferred over traditional sealants such as hydraulic cement because of its properties to not dry up or crack over time. Additionally, FlexiSpan is designed to stretch and move with the naturally shifting motions of the walls to ensure the most protection out of the product. After explaining the process that would be done to install the product, Ron called in Fitz Wilks, a primary foreman for Clarke Basement Systems to install the product. Fitz completed the installation process over a day’s time and now Rey’s basement is safer than ever! Thanks to the professionals at Clarke Basement Systems, FlexiSpan will effectively waterproof the home for years and years to come! After a particularly heavy storm, Markham, ON homeowners Douglas and Vanla M. found that water was coming into their basement through an unknown source. Curious to find out where it was coming from, the couple decided to research waterproofing companies that serviced their area. They found Clarke Basement Systems and they contacted them that same day. A couple of days after contacting them, Clarke sent out waterproofing specialist Ron Monk to evaluate the couple’s basement. What Ron found as the unknown source was slight hairline cracks that were letting in moisture. Although not a huge problem at the moment, if left unattended those cracks could grow and cause extensive damage to the walls and basement. Luckily for the couple, Ron had an ideal solution for their situation. Ron proposed installing Flexispan along the hairline cracks. Flexispan is a polyurethane polymer which seals the cracks and effectively protects them from further intrusion of moisture and other outside elements. Unlike traditional applications such as hydraulic cement or epoxies, Flexispan will not dry up or crack over time. Additionally it is designed to bend, move and stretch with a naturally shifting foundation wall. To install Flexispan, Ron called in primary foreman Fitz Wilks and his crew. After a quick and easy one day installation process, Douglas and Vanla’s basement was no longer troubled by the hairline cracks that cursed it. Now they can look to the future knowing their basement troubles are a thing of the past. Garage floor and back patio leveling quote. Noticed basement is wet after heavy rain. Tested few areas outside the backyard with the water hose and noticed one area water will go into the house. Traces of moisture and water on back basement wall inside vapor barrier or when pressing on Visible cracks on foundation walls, and basement floor Not sure if house has a proper down slope to keep water outwards and away from outside walls Would prefer an estimate visit evening time, or Saturdays. Water seeping through multiple cracks in the basement wall. Water leak in finished basement, looks like through top of foundation or possible weeping holes. Foundation wall crack has been mostly ruled out. Water comes in during heavy rain only. Would appreciate advice. One side of my garage wall is sinking, developing stair-step cracks. I would like to get an expert opinion and an estimation cost for fixing it.